History St. Sebastian's College commenced sessions in 1854 on the verandah of St.Sebastian's Church, Moratuwa with 11 pupils, administrated by the Parish Priest with the help of a Headmaster and his assistant. The medium of instruction was English. At the request of the Catholics of Moratuwa and the church authorities the administration of the school was handed over to the De La Salle Brothers on 3rd January 1926. The last headmaster of the school was Mr. Lawrence Perera and the first Brother Director was an Irishman, Rev. Bro. Bonaventure Idus. The other two pioneers were a Frenchman, Rev. Bro. Athanasius Charles and a Sri Lankan, Rev. Bro. Glaster Oliver. With the arrival of the Rev. Brothers they were provided accommodation of Chevalier Walauwa,The present Moratuwa police station, within a few months secondary classes were started on the ground floor of the Brother residence. The main school was situated at Uswatte Circular Road, opposite the engine shed of the Moratuwa Railway Station. Cambridge Senior and Junior school certificate classes were organized and the school was registered as a secondary school in 1927. Realizing the necessity of the rapid development of the school, a ten acre block of land at Uyana, Moratuwa was purchased for Rs.30 000/= by obtaining a loan of Rs.15000/= form the Archbishop and a donation of Rs.15000/= form Mr. Bastian Fernando. The college commenced operations on the near site on 23rd December 1930. With the take over of Denominational assisted school by the government in 1960 St. Sebastian's College decided to have the option of continue as a non-fee levying private school. This was one of the most difficult periods in the history of the college and Rt. Rev. Bishop Edmund Fernando who was the parish priest of Moratuwa at that time organized the collection of funds for the maintenance of St. Sebastian's College and Our Lady of Victories convent, Moratuwa. Rev. Bro Modustus an old boy of the college was the director of the college at that turbulent period. Rev. Bro. Raymond Benildus was the Principal of the College from 1964 to 1973 and almost single-handed managed a number of fund raising projects and also set up a welfare office to collect funds directly from parents. In 1974 college faced another financial crises and the welfare society formed with President's counsel Mr. Eardley Perera, as president was responsible for maintaining St. Sebastian's College as a Private School. The financial situation improved, when in 1979 the government decided to give a grant to the non-fee levying private schools. In 1989 the principal, Rev. Bro. Granville Perera started an overall building project for the school and in two years 16 primary classrooms were built. In March 1991 Rev. Bro. Emmanual Nicholas the Provincial Visitor introduced a Board of Governors as an advisory body to assist the administration of the college. President's counsel, Mr. Eardley Perera was appointed as the Chairmen of the Board of Governors. In June 1991 the Board of Governors established the School Development Society, to be in-charge of the financial management of the college. With the cooperation of the Rev.Brothers and the Board of Governors the teachers, parents and the old boys gathered round the college to build a three-storyed classroom building and a main hall. St. Sebastian's College entered a new era in 2003 when Rev. Bro. Henry Dissanayake, the Provincial Visitor of the De La Salle Brothers handed over the college to his Grace the Archbishop of Colombo from April 2003. The college is administrated by the Rev. Fathers led by Rev. Fr. Bonnie Fernandupulle, Principal, Rev. Fr. Sylvester Ranasinghe Deputy Principal and Rev. Fr. Pradeep Fonseka, Principal Primary department. It was upgraded from an elementary school and registered as a secondary school in Moratuwa with the arrival and taking over by the De La Salle brothers in 1926. The pioneer brothers were Rev. Bro Bonaventure Idus, an Irishman Rev. Bro. Athnasius Charles a Frenchman and Rev. Bro. Glastian Oliver our own Ceylonese; all great educationists of high caliber. Rev. Bro.  Bonaventure, who was instrumental for the above transition had to organize classes leading up to Cambridge Senior and Junior School Certificate. Concurrently the Primary Department too got underway with Rev. Bro. Xavier as its first Principal. 1931 was a memorable year. A Science block was set up an OBA formed a Cadt Platoon and a Prefect system inaugurated. Brother Alban Patrick set the pace succeeding the redoubtable Irishman Bro. Bonaventure and continued the latter’s good work. His regime was notable for its academic suceeses. The Sodality of the Children of Mary was inaugurated. It was also during Bro. Alban’s time that the College Hall was built. It stood for 60 years. Cadetting came to be when 2 members of the Tutorial staff Messrs. Rupert V. B. Peiris and Charlie M. G. Dias were nominated to Attend the Officers’ Camp at Diyatalawa to be trained as Officers of the C.C.B. They were commissioned as Second Lieutenants in 1932 and 1933 respectively While Eugene A. De Silva was appointed the Sergeant of the Senior platoon and Bernard Mendis of the Junior platoon.. The Playground as it stands today is due to the foresight of Rev. Bro. Alban Patrick. The OBA supplied the funds with the students themselves labored to complete it. It was opened in 1934. The number of students on roll was 600 at this time. Bro. Alban was also known for his enormous charity which he showed by awarding free scholarships to poor and deserving students. He encouraged the lay staff to stage Shakespeare’s “Twelfth Night” which was a text book for the Cambridge Exam the proceeds of which were used to feed the poor students of the college. The Hall was opened by Sir Andrew Caldecott in 1938. The donors were the heirs of Mr.L David Silva. Bro. Alban was also instrument for the birth of Arch fraternity of the Divine Child (ADC). Education at St. Sebastian’s went on in the true Christian tradition till 1960, when it saw the advent of change in the education system in the Country. The Government in that time decided to nationalize the Schools and take over all schools. A difficult and painful decision had to be taken considering the income of the parents of the attending the college but nevertheless a bold decision was taken not to hand over the college to the Government. Under the auspices of Mr. Eardley Perera, a leading criminal Lawyer in the country (later President’s Counsel), the Old Boys Association decided amongst great constraints to make the College a non-fee levying private institution depending on voluntary donations for its existence. In 1974 when the College faced a financial crisis, the Old Boys once again were in the forefront and reactivated the defunct welfare society. The perseverance and grit of the Old Boys came to the rescue of the college and making many sacrifices managed to ride over the storm until 1980 when the Government stepped into pay the salaries of the registered teachers. From this time onwards there was no looking back.The Christian brothers hierarchy realizing the importance of the participatory management concept in their institutions introduced the Board of Governors to their 3 private schools. Along with the Board of Governors the School Development Society too was introduced starting with St. Sebastian’s. The brother Director / Principal was the assisted in policy making decisions by the Board of Governors’ representatives, comprising of several groups. The transparency of finance and accountability was then in the hands of the SDS composed of Old Boys, Teachers and Parents. At this point of time the college was growing from strength to strength and became one of the leading educational Institutions in the Island. .